Get started with CRYENGINE 5.4 by registering & downloading here! It's royalty free and Pay-What-You-Want under our PWYW license agreement. If you are upgrading your project from CRYENGINE 5.3, please read this topic: Migrating from CRYENGINE 5.3 to CRYENGINE 5.4. For more information on Code Interface Changes, see the Important CRYENGINE 5.4 Data and Code Changes article. Create a new template of the same type in the CRYENGINE Launcher, and copy your modified assets over. This is much easier than fixing the template code to match the new engine interfaces. You will need to manually fix code errors caused by the engine interface changes, please see the aforementioned Code Change Article for more information on what has changed. For more, check out our Entity Component Use Case Tutorials. Expand on your previous workflow with How to Combine Components 1 - Rigid Body & Particles and 2 - Collectibles & Power Ups. We are going to add more C# templates in the future. 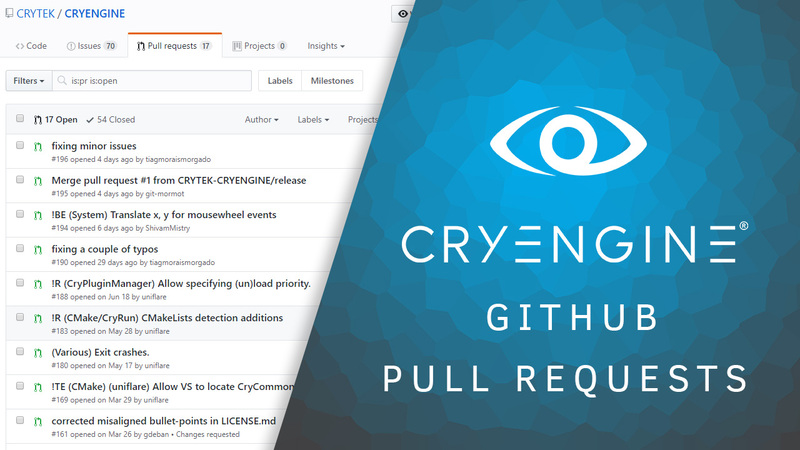 Additionally, we provide a full guide on how to submit Pull Requests against our branch here. Also in release 5.4 we bring you an extension to Photoshop - the Ultimate Texture Saver. This feature has been developed to make life much easier for Texture Artists and replaces 8 separate files with just 1. To download the tool and for more general information click here. You can now add objects to a group and link them through the Level Explorer. Finally, in release 5.4 we bring you some updated documentation for the Project Launcher Tools. And that's all for now, dear CryENGINEERS. Big update indeed and many new features to test and improvements to weave into your workflows. We can't wait to hear all about your feedback of the new build and have established a dedicated feedback thread, here. Keep using the Crash Reporter of course, if necessary and submit your Pull Requests through GitHub. Some features didn't make it into 5.4 although we worked very hard to make it happen. 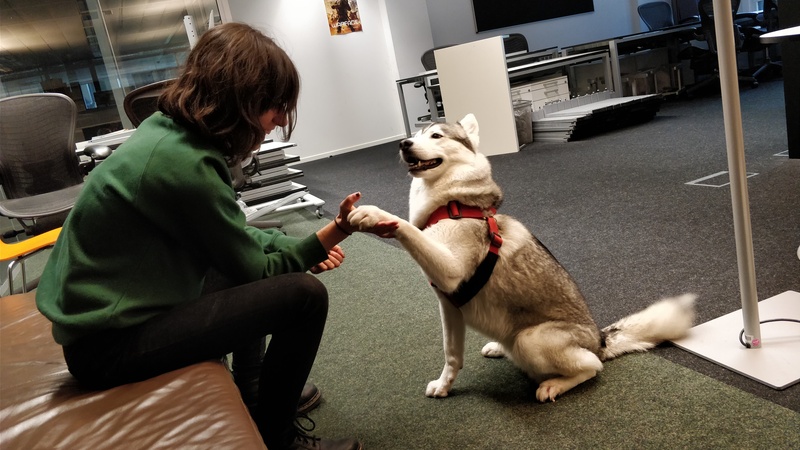 But we'll keep you in the loop on our progress and the next CRYENGINE 5.4 updates for sure, so keep an eye on our blog, the official forum and of course, Facebook & Twitter. You can read the full Release Highlights and Change List in our documentation pages. Awesome ! It was worth waiting. Last edited by mind revolution on Fri Sep 22, 2017 8:20 pm, edited 4 times in total. I have been waiting a long time for this one. Thanks! Thanks for the massive news i was waiting for! Now i can start my work back. Was hoping this would bring me back. But Marketplace still a mess and With this update now the view finder is empty. Not sure why this engine has so many different issues for different users. At the moment, not impressed. Keep in mind that the Site and Engine are operated by fully different groups. What issues do you speak of? If they are the new engine version, everything new will always have issues. In the IT Admin world, we never update the machine with new updates, we are 4-6 months behind on the updates to make sure they are bug free.